President Sirleaf has broken grounds for the construction of a new and modern Redemption Hospital and dedicated the newly constructed National Drug Service Warehouse. President Sirleaf chats with Salou Djibo President of ECOWAS Task Force on Trade Liberalization Scheme (ETLS). Mother Mary Brownell and President Sirleaf at Liberia Wome's Manifesto 2017. Liberia's President Ellen Johnson officially shakes hand with Special Envoy Tedros at the Foreign Ministry. President Sirleaf visits members of beavered families of Melvin Tucker and Jackson Korda. ECOWAS Ambassadors in a group photo with President Sirleaf. 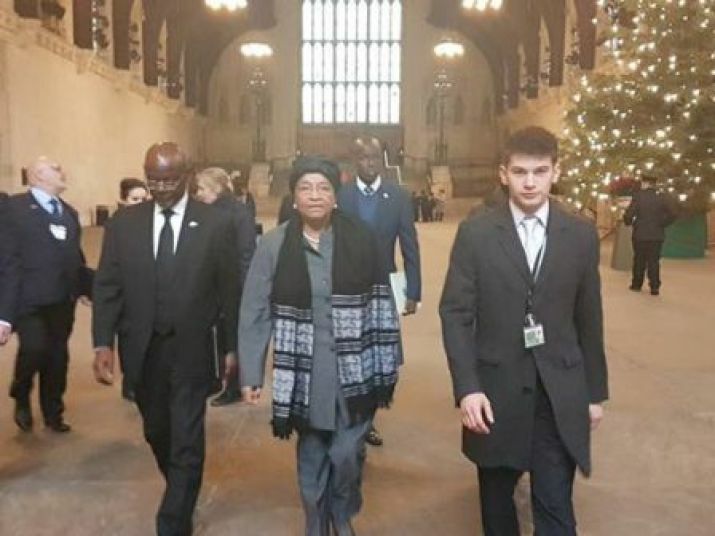 President Sirleaf and delegation along with British Government officials leave the House of Commons after Friday bilateral meeting in London. President Sirleaf during initial briefings at the ECOWAS Commission in Abuja-Nigeria. 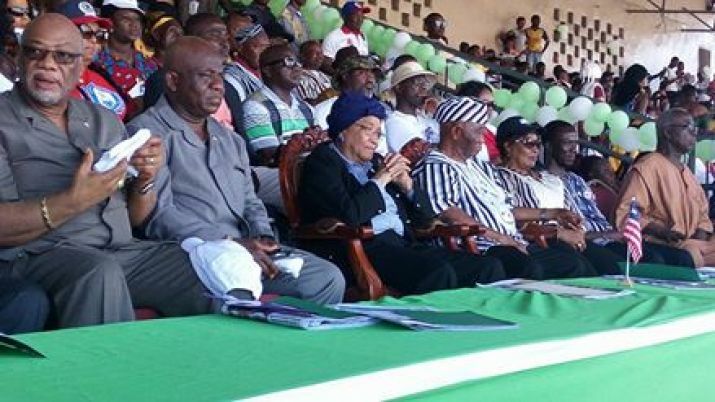 President Sirleaf Congratulates VP Boakai @ 72; Visits Monrovia Football Academy. President Sirleaf Tours Exxon Mobil Offshore Platform. President Sirleaf Receives New Guinea Bissau Prime Minister; Pledges Support. President Sirleaf Signs Book of Condolence for Fallen Lofa County Representative, Hon. Eugene Fallah-Kparkar.